If we google 'cholesterol' of course we'll find thousands of images portraying it as "artery-clogging", but what about the real functions of cholesterol? I have created this one page info sheet / poster in an attempt to re-educate about the many things cholesterol is actually used for within the body. Please send this A4 sized image to anyone you think is afraid of their cholesterol. One year ago, my friend, Obhi Chatterjee completed his film about the business of dementia and alternative nutritional approaches to help with the condition. The film, You Must Be Nuts, explores the wealth of information available concerning nutritional therapies and presents it in an entertaining way. Obhi made this film because of his experiences helping his father, Jayanta, who suffered with the condition. Seeing first hand, how some of the medications Jayanta was prescribed caused horrible side effects. Obhi investigated the nutritional alternatives, and managed to stabilise his fathers condition somewhat. For the first time seeing some improvements in daily functioning. However, unfortunately, the condition had already become severe and it was not possible to reverse it - either with medications or nutrition, and last Saturday, Jayanta passed away. One of the topics included in Obhi's film is the benefits of coconut oil. This weekend, news reports in the mainstream media have finally caught up with the benefits of coconut oil, by highlighting a recent study showing coconut oil is the healthiest for cooking with. We all look forward to the day when the authorities put science before business interests when deciding nutritional guidelines. Two new studies have shown that statins impair the immune system. One study (from Cincinnati Children’s Hospital Medical Center) found that statins impair the immune response (1). And another study (from Emory University) found that statins can block the ‘effectiveness’ of the flu vaccine in the elderly (2). Of course, as always, the 'experts' are all saying that further research is needed and people should carry on taking their statins. However, they are conveniently ignoring the other data confirming that low cholesterol is bad for the immune system. Back in 1997, researchers in the Netherlands published an article in the Lancet showing that in the case of the elderly, those with the highest cholesterol are best protected from cancer and infections (3). Other research, led by the University of California, has confirmed that derivatives of cholesterol play an important role in the immune system and could protect humans from a wide range of viruses, such as: Ebola, Rift Valley Fever, Nipah, and other deadly pathogens (4). Therefore, is it really a surprise to find that the immune system and vaccines are impaired in those who take statins? People with High Cholesterol Live the Longest! Professor Ebrahim is one of the authors of the highly influential Cochrane review of statins. Followers of the statins saga will already be aware that the Cochrane group radically changed their opinion of statins between the first review in 2011 and the second review in 2013. 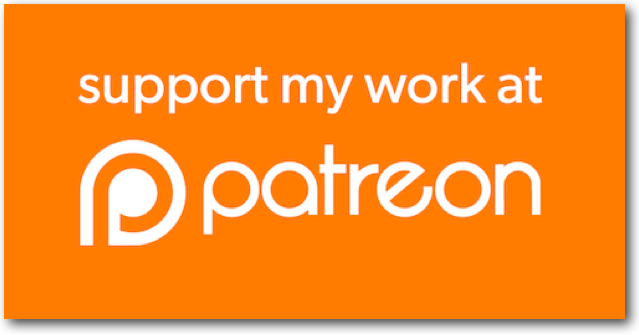 Support for Ancel Keys work, which is now widely known to have been fraudulent. A complete disregard for any suggestion that statins might be harmful in any way, despite the fact that Cochrane themselves admitted a serve lack of data on the adverse effects of statins. Complete refusal to accept that the ‘benefits’ of statins have been exaggerated - associated with this is the opinion that it is OK to use relative percentages, which we know only serve to mislead people. Complete refusal to accept that the huge commercial influences may be a problem. By the way, for just one of the many examples why the commercial interests are a problem, please see this other video here, which features a former editor of the New England Journal of Medicine. Jerome P. Kassirer M.D., distinguished professor and former editor of one of the world's biggest medical journals discusses conflict of interest in statin guidelines. At the same time, a Canadian group did an analysis on the same data and came up with the opposite conclusion (that statins are not beneficial in primary prevention) - the Canadian group had no ties with the pharmaceutical companies. Since these guidelines were introduced there have been several updates - each time, the 'experts' recommended statins for more and more people, and each time the conflicts of interest have remained in place. Shortly after the publication of his book, Professor Kassirer lost his post at the New England Journal of Medicine. I'm sorry, this was a free viewing for a limited time only. To be notified about other free viewings please fill out the UPDATES form in the right hand margin. Thank you. Professor Sultan, who features in Statin Nation II, has been honoured with yet another award. On Tuesday March 24th he was awarded the Title of Doctor Honoris Causa of the Lucian Blaga University of Sibiu (ULBS) in Romania. This is the most prestigious title in the history of ULBS and was awarded to only five other dignitaries in the history of the University. During the last 18 months Professor Sultan travelled to Romania on three separate occasions to perform complex thoracoabdominal repairs on eight patients with life-threatening aortic pathologies. He has also supported the cardiovascular clinical training programme at Polisano Clinic in Sibiu. Those who follow the statins and cholesterol issues will be aware of Professor Sultan’s research article that was heavily critical of the widespread use of statins. It is time for the medical establishment to sit up and pay attention to pioneering doctors like Professor Sultan, who are moving way beyond the ill-founded cholesterol hypothesis in order to find treatments and innovative techniques that genuinely benefit patients. STATIN NATION II Available to Stream and Download! 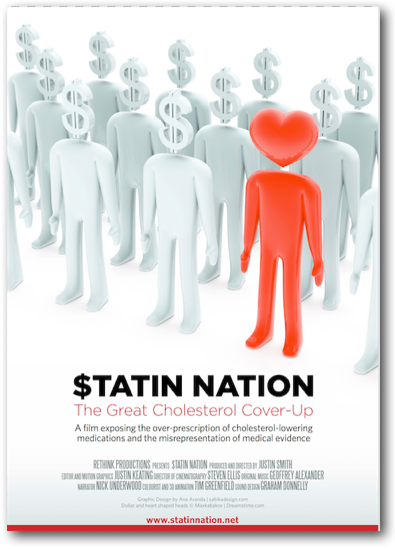 STATIN NATION II - Trailer from Justin Smith on Vimeo. I am delighted to announce the world premiere of Statin Nation II. Brief Synopsis: The film is in three parts. Part 1 explains how health authorities around the world have continued to ignore the huge amount of data suggesting that saturated fat and cholesterol do not play a causal role in heart disease. Part 2 examines the current system of using risk factors for disease prevention - which of these risk factors are correct, and can a person be reduced to a short list of numbers? Part 3 moves beyond the system currently used and investigates the real causes of heart disease - proposing for the first time, an alternative model for thinking about the disease. The film includes interviews with 12 leading experts in this field, and was shot on location in the UK, USA, Denmark, Sweden, France, Lithuania, Australia, Egypt and Japan. CHARLOTTE STREET HOTEL, CHARLOTTE STREET, LONDON W1T 1RT. Did Dan Buettner make a Mistake with his Blue Zones? Dan Buettner is the author of Blue Zones, a book investigating some of the places in the world where people live the longest. Buetter attempts to unlock the secrets of a long healthy life by looking at the nutrition and lifestyles of people from certain parts of Peru, Italy, the United States and Japan. The book has considerable merit in that it describes in detail many of the lifestyle habits that have been proven to promote longevity. However, Buettner appears to have made a gross error with regards to the nutritional aspects. In particular, I’m referring to his coverage of the Island of Sardinia, Italy. The island of Sardinia not only has a large number of people who live to be more than 100, but it is also one of the few places in the world were men live as long as women. Most regions of Sardinia are associated with incredibly good health, however, the region that has been highlighted as having a particularly long life is called Barbagia. "It’s loaded with homegrown fruits and vegetables such as zucchini, eggplant, tomatoes, and fava beans that may reduce the risk of heart disease and colon cancer. Also on the table: dairy products such as milk from grass-fed sheep and pecorino cheese, which, like fish, contribute protein and omega-3 fatty acids. " Unfortunately, this common myth about the traditional Sardinian diet has been copied by various websites and commentators. The cheese part is certainly correct. However, the Barbagia region is for the most part, up in the mountains, away from the coast, and traditionally the people who live there do not eat very much fish. Their diet manly consists of meat. Suckling pig being a particular favorite. I believe the reason why Buettner got it wrong was not because of a deliberate attempt to deceive, but more likely its another example of what happens when we look at the world through the current medical dietary dogma. After all, if you believe that meat and animal fats are bad for you, then by default you wouldn’t list them as contributors to longevity. Which is a shame because people might continue to be misinformed. Sardinia, along with many other so called paradoxes will be included in Statin Nation II. Experts who support the use of statin medications like to keep saying how cheap the drugs are now that Lipitor has gone off patent. Here in the UK, we can often find statements like.... low dose statins only cost £1 a month per patient. Statin supporters have even laughed at the idea that money is the motivation for lowering cholesterol, insisting that the market for statins is not that great. Well overall, the annual cholesterol-lowering market is still worth US$29 billion. And IMS have just released figures for the most prescribed drugs in the USA. Between July 2013 and June 2014 more than 22.5 million prescriptions were written for CRESTOR, generating US$5.6 billion for AstraZeneca in one year. I have commented on CRESTOR before, but this issue is so important, it can’t be mentioned too much. Crestor has become so popular, because of the JUPITER trial. The results of the JUPITER trial are summarised below in the video excerpt from $TATIN NATION. An honest assessment of the published trial data shows that Crestor did not provide any meaningful benefit. That's before we even start to look at the adverse effects of Crestor, which included an increase in the risk for type 2 diabetes. However, the situation is even worse than we think. An article published in the Archives of Internal Medicine in 2010 questioned the validity of the data from the JUPITER trial and raised concerns about the role of the company sponsoring the trial. Another article published in the journal Cardiology in 2011 raised similar concerns . The leading question is, what the hell happened to evidence based medicine? Ridker, PM et al, for the JUPITER Study Group. Rosuvastatin to Prevent Vascular Events in Men and Women with Elevated C-Reactive Protein. N Engl J Med 2008; 359:2195-207.
de Lorgeril, M et al. Cholesterol lowering, cardiovascular diseases, and the rosuvastatin-JUPITER controversy. A critical reappraisal. Arch Intern Med. 2010; 170:1032-1036. Many people would have seen the recent media reports claiming that high cholesterol is a risk factor for breast cancer. The suggestion being that statins could be used to prevent breast cancer in the future. What Dr Potluri of the University of Aston, who did the study, doesn’t know is that researchers from the USA have already studied the effect that statins have on breast cancer. Researchers from the Fred Hutchinson Cancer Research Center in Washington found that statin use was associated with more than double the risk for breast cancer (both invasive ductal carcinoma and invasive lobular carcinoma). Nowhere in the media reports was this mentioned. Not even the spokesperson for Breast Cancer Campaign seemed to know about this. Also, Potluri’s ‘study’ is not published anywhere! It was simply presented at a cardiology conference. So we have no idea what data he analysed or how it was analysed. We know that he used a cholesterol level above 200mg/dl as being high, but we also know that most women in the UK naturally have a cholesterol level above this number anyway and this is perfectly normal for UK women. In any case, what is a cardiologist doing looking at breast cancer data, and presenting this data at a cardiology conference? Surely, he is just fishing for research money. Dr Potluri is a complete disgrace to his profession and the general public deserve better integrity from the media. Is UK Medicines Licensing Agency a Mouthpiece for Big Pharma? The MHRA is the government organisation that licenses all medications in the UK - it decides if medications work and if they are safe. During the making of $TATIN NATION, I wanted to ask the MHRA about the scientific basis for the use of statins as ‘prevention’. Since none of the clinical trials have shown any life extension when used in primary prevention. However, the MHRA declined my invitation. This new statement from the MHRA again makes the claim that “statins can save lives”. Therefore, on Tuesday this week I again requested an interview with them. The MHRA replied by asking for more information about the film - which I provided. After that, the line of communication went cold. It is important to note that although the MHRA is a government organisation, it is not funded by tax payers - the regulation of medications part of the MHRA is funded by the pharmaceutical industry. This can be seen in the FAQs on their website. I think that people should be aware that the organisation that licenses medications in the UK is funded by the pharmaceutical industry. This obvious conflict of interest should be placed at the end of every statement that they publish. The publication of the MHRA’s press release was prompted by recent media coverage about statin adverse effects and the now famous BMJ article. The BMJ article was placed in the line of fire by Professor Collins of the pharmaceutical industry funded Oxford group. Professor Collins said the BMJ article exaggerated statin adverse effects. A lot has been written about the BMJ article on the web, however, I feel one additional point is of note that has been missed concerning statins and muscle damage. A study published in the Journal of the American College of Cardiology found that statins block the adaptive response to exercise. When we exercise, we stimulate various physiological changes that make our cardiovascular system more efficient - this is one of the main reasons why exercise is a powerful prevention tool for many diseases. However, it has been shown that this adaptation is blocked in people who take statins. In short, statins prevent us from benefiting from exercise. This is just one of the many things that Professor Collins and the MHRA do not want you to know about. Towards the end of last year, new cholesterol guidelines were introduced in the US. These guidelines have been shown to be based on flawed ‘evidence’, yet are set to double the number of people who take statin medications. This issue was covered fairly extensively at the time, however, it is important to keep in mind that despite the criticisms, and the flaws, the guidelines are still being forced through. Doctors will have little choice but to follow them, and millions more people will be exposed to the serious adverse effects of statins. This video clip includes comments from Dr Malcolm Kendrick, who you probably know already, and Mr Sherif Sultan, who is a leading consultant vascular surgeon, based in Ireland. Majority of panelists on controversial new cholesterol guidelines have current or recent ties to drug manufacturers - British Medical Journal article. During the last few days, people within the medical community, the media, and the general public have been astonished to find the level of incompetence associated with the release of the new cholesterol guidelines. It's ironic that we are still referring to them as cholesterol guidelines; the previous approach of 'know your numbers' has now been conveniently changed to 'ignore your numbers'. Which seems to be an attempt to try and put as many adults on statins as possible. It has now been widely reported that the risk calculator (even when it is working correctly) will over-estimate risk and will result in even more over-prescription of statins. At the same time that this has been taking place, there has been a quieter, perhaps even more alarming development. Whilst the highly complex but considerably flawed algorithm is about to be rolled out on adults, the childhood obesity problem is being used as an excuse to monitor the cholesterol levels of children. We can now see how this is playing out. Back in 2008, the American Academy of Paediatrics called for the screening of cholesterol levels in children. Reports at the time, referred to children as young as eight being put on statin medications. Then, in 2011, the National Heart Lung and Blood Institute (NHLBI) released new guidelines that were endorsed by the American Academy of Paediatrics. These recommended universal screening of 9 to 11-year-old children and targeted screening of some subgroups. Yes, another 'expert panel' dictating to doctors. Not only do these recommendations directly influence how doctors prescribe medications, but the idea also pervades everyone else's consciousness. In particular, we should be concerned about allied health professionals and others who may unintentionally do the wrong thing. A case in point is the recent announcement that schools in Nixa, Missouri. after receiving part of a $41,916 grant, will now be able to perform cholesterol screenings on 5th graders. The cholesterol tests will be done under the Cardiac Kids Program, which is put on by CoxHealth and Kohl’s CARDIAC Kids. There is no indication that the Cardiac Kids Program is funded in anyway by pharmaceutical companies, however, because of the misinformation about cholesterol well meaning people end up doing big pharma's work for them.